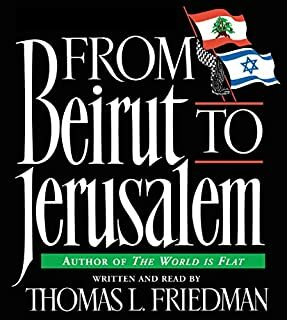 In From Beirut to Jerusalem, Thomas L. Friedman, a columnist for The New York Times and a two-time Pulitzer Prize-winner, has drawn on his decade in the Middle East to produce the most trenchant, vivid, and thought-provoking book yet on the region. 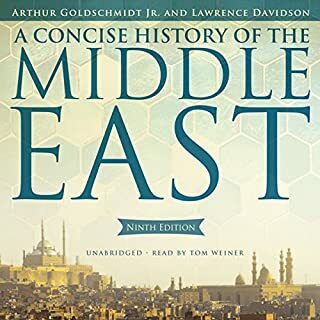 The ninth edition of this widely acclaimed text has been extensively revised to reflect the latest scholarship and the most recent events in the Middle East. As an introduction to the history of this turbulent region from the beginnings of Islam to the present day, the book is distinguished by its clear style, broad scope, and balanced treatment. Israel is a tiny state, and yet it has captured the world's attention, aroused its imagination, and, lately, been the object of its opprobrium. Why does such a small country speak to so many global concerns? More pressingly: Why does Israel make the decisions it does? And what lies in its future? We cannot answer these questions until we understand Israel's people and the questions and conflicts, the hopes and desires, that have animated their conversations and actions. From the author of Comeback Love, a sweeping, panoramic tale of 20th-century America, chronicling the decades-long love affair between a Jewish immigrant and the granddaughter of a slave. Julian Rose is only 15 when he leaves his family and Germany for a new life in 1920s America. Lonely at first, he eventually finds his way - first by joining up with Longy Zwillman and becoming one of the preeminent bootleggers on the East Coast, and later by amassing a fortune in real estate. ISIS - the Islamic State of Iraq and Syria - has taken on the mantle of being the single most dangerous terrorist threat to global security since al-Qaeda. In Defeating ISIS, internationally renowned intelligence veteran, author, and counterterrorism expert Malcolm Nance gives an insider's view to explain the origins of this occult group, its violent propaganda, and how it spreads its ideology throughout the Middle East and to disaffected youth deep in the heart of the Western world. Things fall apart; the center cannot hold. The rules, policies, and institutions that have guided the world since World War II have largely run their course. Respect for sovereignty alone cannot uphold order in an age defined by global challenges from terrorism and the spread of nuclear weapons to climate change and cyberspace. Meanwhile, great power rivalry is returning. Weak states pose problems just as confounding as strong ones. There was a time when Israel could do no wrong in America's eyes. That time is long past, and justly so - no nation is absolutely perfect, particularly not one that is engaged in a conflict as long as the Arab-Israeli conflict. But the myth of the perfect Israel has been supplanted by a far more deleterious myth: the myth of the evil Israel. 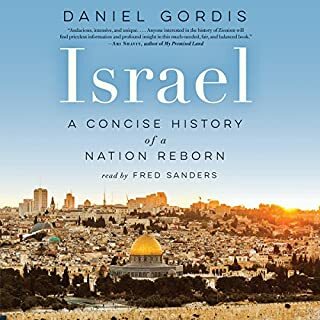 This new myth has so pervaded contemporary culture that the history of Israel - as well documented as it is - has been recast and retold to fit a false narrative of Israel as violent occupier. Burning Country explores the complicated reality of life in present-day Syria with unprecedented detail and sophistication, drawing on new first-hand testimonies from opposition fighters, exiles lost in an archipelago of refugee camps, and courageous human rights activists. Yassin-Kassab and Al-Shami expertly interweave these stories with an incisive analysis of the militarization of the uprising, the rise of the Islamists and sectarian warfare, and the role of Syria’s government in exacerbating the brutalization of the conflict. 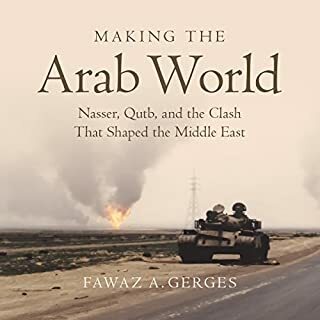 In this definitive history of the modern Arab world, award-winning historian Eugene Rogan draws extensively on Arab sources and texts to place the Arab experience in its crucial historical context for the first time. Tracing five centuries of Arab history, Rogan reveals that there was an age when the Arabs set the rules for the rest of the world. Today, however, the Arab world's sense of subjection to external powers carries vast consequences for both the region and Westerners who attempt to control it. Acclaimed Israeli intelligence analyst Avi Melamed has spent more than 30 years interpreting Middle East affairs. 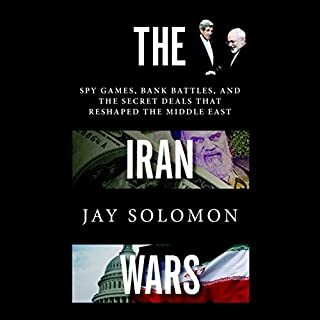 His long-awaited Inside the Middle East challenges widely accepted perceptions and provides a gripping and uniquely enlightening guide to make sense of the events unfolding in the region. 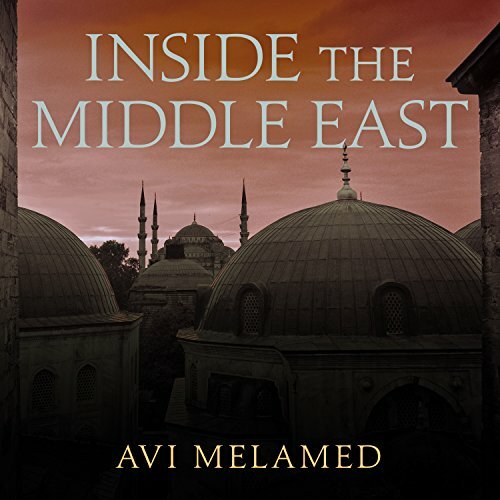 Melamed considers all the major power players in the Middle East, explains the underlying issues, and creates a three-dimensional picture, an illustration that connects the dots and provides a fascinating road map. He elucidates developments such as the Arab Spring, the downfall of the Muslim Brotherhood, the rise of ISIS, the epic Sunni-Shiite animosity, the essence of the war in Syria, the role of the Caliphate and Jihad, and the looming nuclear arms race. He also provides a rare opportunity to journey into the psyche of Arab society. This unparalleled volume is a milestone in our understanding of the Middle East. It is the untold story of the struggles that will shape the region, and the world, for decades to come, and a groundbreaking guide that will shake you to the core, force you to reevaluate your outlook, and give you tips to navigate the future. I ventured into this book expecting it to be biased and I wasn't disappointed; it turned out to be exactly that. To be fair, the author attempts to be objective and sometimes even succeeds at it. Despite the author's blinkered narrative, the book is very informative about the different actors involved in the Middle-East conflict. The most significant point in the book, for me, was learning about Aliaa Magda Elmahdy's bold activism against misogyny. On the whole, this is an edifying book that's worth a read to get a new perspective on the complex subject of Israel-Palestine and Arab world. Extremely interesting. First account of the issues preventing peace that was substantive and insightful. Ought to be required reading for Congress and any President although I realize Trump doesn't read. 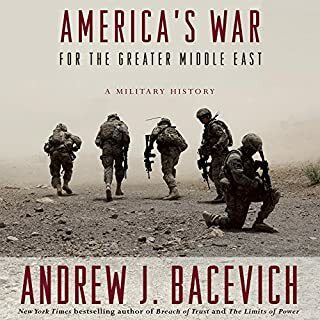 In the foreword, the author describes himself as 'deeply humble' and claims this book will lead you on a journey of unbiased, thoughtful and carefully considered fact-based analysis of the situation of the Middle East. Nothing could be further from the truth. Within 30 minutes it was obvious that this man has nothing but contempt for the Arab culture. He makes sweeping generalizations about the Arabs and Arab culture under the guise of 'fact', and backs them up with simple anecdotes or quotes from random sources - sometimes from Facebook!! of all places. On numerous occasions he factually stated the reasons why various politicians made certain decisions - am I to believe that Muammar Gaddafi confided his private thoughts to the author? I turned it off in Chapter 3 when he gloatingly contrasted the virtues of the Israeli culture to the shortcomings of the mindset of the Arab people. A one sided, yet informative Israeli view provides a good analysis of the region but blinded with respect to Israel and particularly the Palestinian Authority. Well narrated. The author challenges thinking and sets out arguments, which provoke thought. There is a biased view expressed here, given the subject matter it is difficult to find a body of work without such bias. Worth a listen/read as part of wider research in to the region. Keep an open mind. So obviously bias, salesy and one sided. The title is so wrong... The book seems to be more about the superiority of Israel in the wide context of Middle East rather than the objective analysis of the turbulent presence of the region. waste of credit for anyone who wants to learn about Middle East.